Europe’s dispute over refugees, the controversial judicial reform in Poland and the election campaign in Bavaria were the topics of an interview with Commissioner Günther Oettinger by EURACTIV Germany’s media partner “Der Tagesspiegel“. 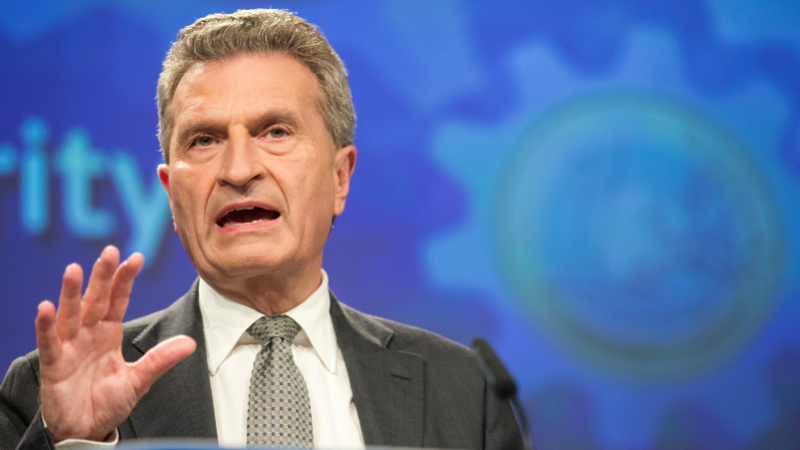 Günther Oettinger is Commission Vice-President for Budget and Human Resources. 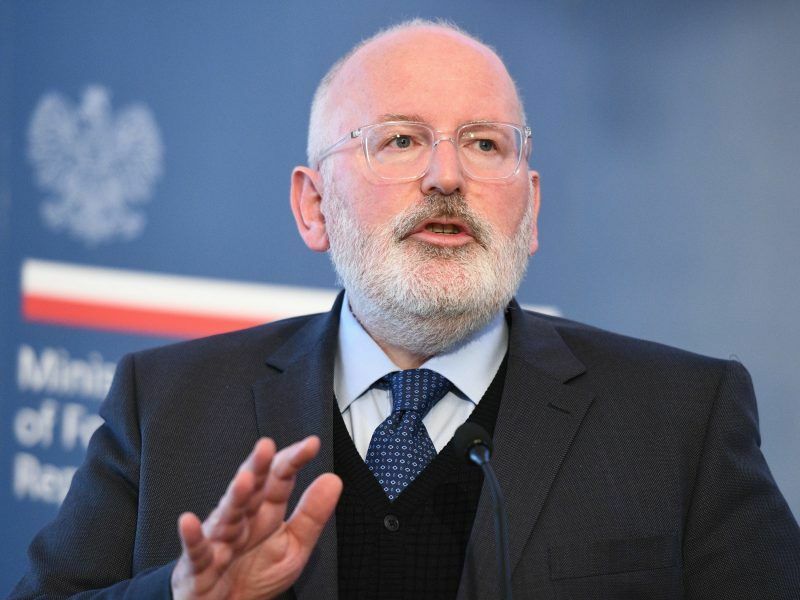 Mr Oettinger, the Polish government is pursuing a judicial reform with the aim of subjecting judges to the will of the ruling Law and Justice party (PiS). Is this acceptable to the Commission? Important parts of the Polish judicial reform do not comply with the rule of law principles of the EU. The Commission has repeatedly communicated its concerns to the Polish government. Indeed, there has been some movement in this matter. The new prime minister, Mateusz Morawiecki, and his government at least see that there is a problem and make small steps towards the Commission. However, one has also to take note: the government in Warsaw has not yet demonstrated sufficient compliance. We expect further material changes in the planned Polish constitutional reform. We are therefore continuing the rule of law dialogue with the government in Warsaw, building on broad support from EU member states. Therefore, you do not share the opinion of PiS chairman Jarosław Kaczyński, who spoke of an 80% chance of reaching an agreement with Brussels? Such an agreement would be conceivable if the Polish government were willing to make far greater adjustments to the judiciary reform. I am basically an optimist, but at the moment I don’t think it is very likely that this will happen. If the Polish government does not comply, this could have consequences for the disbursement of EU funds. Will the future 2021-2027 EU budget link the rule of law and EU regional funding, from which countries like Poland benefit? We are not talking about a Lex Poland. It more is about the following: By financing or co-financing important projects from the EU budget through our programmes, we are responsible for the proper use of funds in the interests of European taxpayers. Now, with relevant EU subsidies reaching millions, legal disputes are also conceivable. In this situation, we in the recipient countries need a jurisdiction which, as a power branch independent from government and parliament, can show objectivity. Therefore, the commitment to the rule of law is not a theoretical imperative but inseparably linked to the trust in courts that can rule on financial questions in case of a dispute. We want to suggest that in the future financial framework the observance of the rule of law is laid out as a condition. Also, the relationship between Brussels and Hungary is far from ideal. Do you see a way out in the dispute over the reception of refugees, which is rejected by Hungary’s Prime Minister Viktor Orbán? 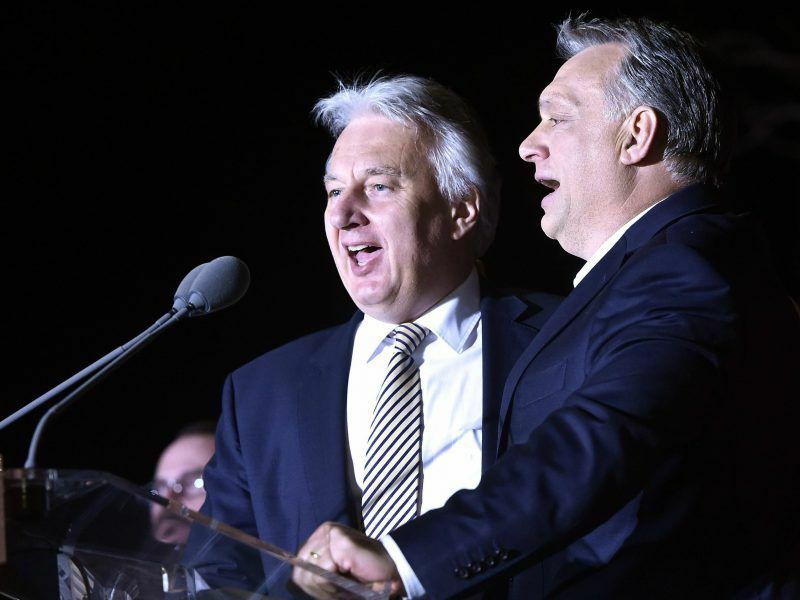 We have seen in recent years that the Hungarian Fidesz government announced serious legislative proposals, but has not put them into action in the end. A warning issued by the Commission has often worked. Beyond the rhetorical announcements, the legal acts initiated by the Hungarian government almost always comply with European legal bases. In fact, with regard to refugee distribution, we have a problem with several member states. We are confident that a solution to this problem will be found in the forthcoming negotiations on the harmonisation of the European asylum law. Solidarity is not a one-way street. That is why we expect all member states to shoulder the tasks of migration and refugee policy. 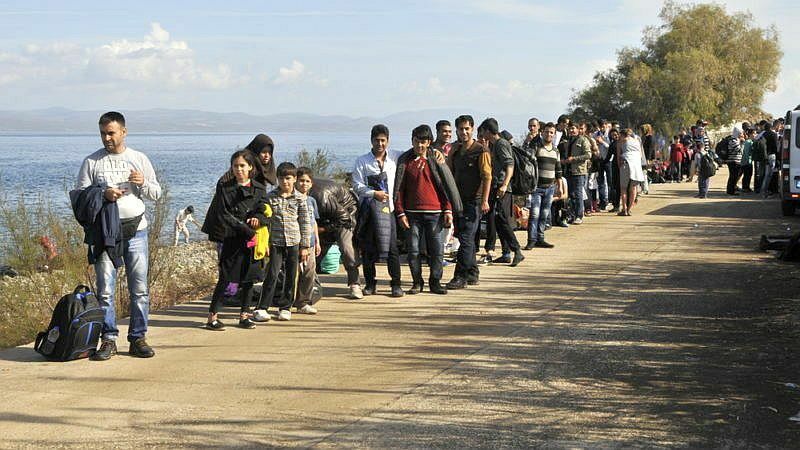 The negotiations will show: Is it just about the quota for the distribution of refugees in the EU? Or can member states that refuse to accept refugees possibly make a financial contribution to the community instead? In the future EU budget, the protection of the EU’s external borders should become an important item. Why do you want more money for this area? There is an important principle of free movement within the EU, which makes controls inside the community unnecessary. However, since the start of the refugee crisis, we have had a number of national border controls, which we as the Commission regularly approve or extend – for example, at the border between Germany and Austria. All those involved say: only if the protection of the EU’s external borders works in countries such as Greece, Italy, Spain or Malta, internal border controls can be reversed in the interest of free movement of persons and economy. This is what we aim for, and that is why we want to propose a strong human and financial reinforcement of our EU border agency. How can Greece be effectively supported by other Europeans in protecting its border with Turkey? Because of the many hundreds of Greek islands off the coast, Greece faces the biggest problems in protecting the EU’s external borders. Therefore, we have to realise: the Greeks cannot do the job alone. Firstly, we suggest that more officials of the EU border agency Frontex support the work of the Greek authorities on the spot than they did before. Secondly, we think that the EU could be partly contributing to the Greeks hiring more staff for border management themselves. And third, it is about assistance to Athens in the administrative area: After the initial registration of refugees, the examination of possible grounds for asylum must be swift and objective. There is a dispute between Brussels and the EU member states over the financing of another €3 billion tranche for Ankara under the EU’s refugee agreement. Will you accommodate member states like Germany this way? Negotiations on this issue will continue in the coming week. We are currently preparing the position of the Commission. Importantly, it has now become clear that we want to continue the agreement with Turkey and provide the second tranche for Ankara. In the first tranche, which also amounted to €3 billion, €2 billion came voluntarily from the member states. The remainder – €1 billion – came from the EU budget. In the next few weeks, we will see if, as the Commission, we are willing to make a somewhat higher financial contribution. However, we cannot lift €3 billion from the EU budget. The member states must make a significant contribution. At the start of her fourth term of office, Chancellor Angela Merkel dealt extensively with refugee policy in her first government declaration. How do you evaluate her refugee policy in retrospect? The decision of the first days in September 2015 was completely correct. At that time, the Chancellor, together with the then Austrian Prime Minister Faymann, decided to bring the stranded refugees from Hungary in a direct and orderly fashion to Austria and Germany. But then, as it happened in reality, one should have found a common European line. The German solo effort, which was initially also supported by Austria, has caused some astonishment at the European level. That is why it was so hard to find a solution at the European level. Let us return to the borders in Europe. Bavaria’s Minister-President Markus Söder wants to launch his own Bavarian border police. What do you think of this intention? According to the Basic Law, border protection is a federal concern. It is the federal authorities who, with German Interior Minister Horst Seehofer, exercise this responsibility at all German external borders. A planned additional police unit in the Free State of Bavaria can only act as a reinforcement of the Bavarian state police. In the CSU, there is always criticism of Brussels. For example, Seehofer has accused the Commission of an instructive tone towards the Eastern Europeans. How great is your concern that the upcoming state election campaign in Bavaria will become an anti-EU campaign? I would like to recall the last 2014 European elections. At that time, the then CSU vice-chairman Peter Gauweiler initiated a clearly anti-European course. That did not really lead to success for the CSU. That is why I believe that Minister-President Söder is very keen to see the benefits of the EU, especially for the Bavarian industry. Speaking of election campaigns: Do you have a forecast for the composition of the new European Parliament after the European elections in the coming year? Is there a threat of an ‘Italian scenario’ with a strengthening of extreme parties? I do not believe that. I assume that there will be a stable majority of MEPs from different democratic groups who are committed to the European project. The CDU/CSU, as well as the European People’s Party and its chairman Manfred Weber, have a crucial role to play: The EPP must be able to clearly regain its position as the strongest power and, together with other groups, enable a clear pro-European course in the next Parliament. Current Brexit chief negotiator Michel Barnier is considered a frontrunner among possible candidates for the successor to Commission chief Jean-Claude Juncker. Should your European party family, the EPP, make Barnier the top candidate for the European elections by the end of the year? I think very highly of Michel Barnier. We are currently working closely together to manage Brexit because I work on many issues of budgetary law and thus support his work as chief negotiator. He is certainly one of the very serious potential candidates for the EPP’s Spitzenkandidat. 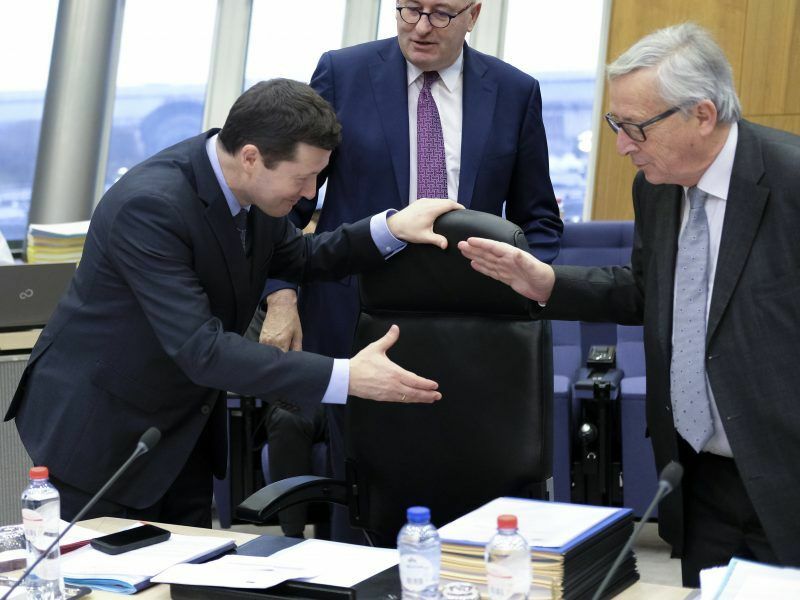 The blitz-promotion of Juncker’s aide Martin Selmayr as Secretary General of the Commission will be discussed further in Brussels. What went wrong with the appointment? I consider this appointment to be fully compatible with our civil service rules. I consider Martin Selmayr with his professional skills and experience to be the right pick for secretary general. But perhaps the surprise effect was too great for the public and also for the colleagues in the Commission. We should have recognised and tackled this problem earlier. You have been active in the Commission since 2009. Your term in Brussels ends at the end of next year. Can you strike a preliminary balance already? In the beginning, we were always in crisis mode – starting with the sovereign debt crisis, then the refugee crisis and finally Brexit. Meanwhile, the economy in Europe is picking up again, but there is a new challenge: we are in the midst of a competition of systems. Our European system of values is no longer uncontested but has influential autocrats as opponents. We, Europeans, need to be careful not to get crushed between the threatened punitive tolls from Washington and a dominant Chinese industrial policy. We have to assert ourselves through cohesion and a common strategy.